Currently Closed for the Season Until April 27th! Our greenhouse flowers and plants are nurtured and cared for onsite, in one of six different greenhouses! 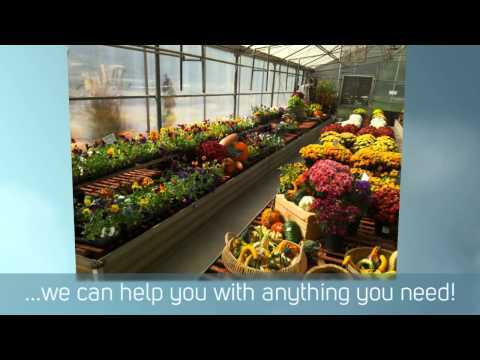 We are always happy to offer gardening and plant advice as well, so whether you're a home conservatory expert or new to the gardening scene, we can help you with anything you need. When it comes to seasonal planters, or annuals for your garden we've got you covered! Be sure to stop in and ask about our greenhouse services today, as well as our current specials going on just for you! We will be open from November 28, 2014 and reopen for the holiday season on December 24, 2014.